It was for a long-overdue catch-up with two friends that I made the trip from work down to Threefold for lunch. Other than being aptly named (because there were three of us, get-it? ), it was relatively close to all of us and had fairly good reviews over the web. I did forget my camera though, so you'll have to put up with my terrible phone camera pictures. This is probably happening more often than I would like, so I need to step up my game! Moving on to the actual food though, Threefold have numerous toasted sandwiches, mains, salads and baked goods all on display. With such a tempting array to choose from, and the option to choose your own combinations, it was difficult to decide what to order. 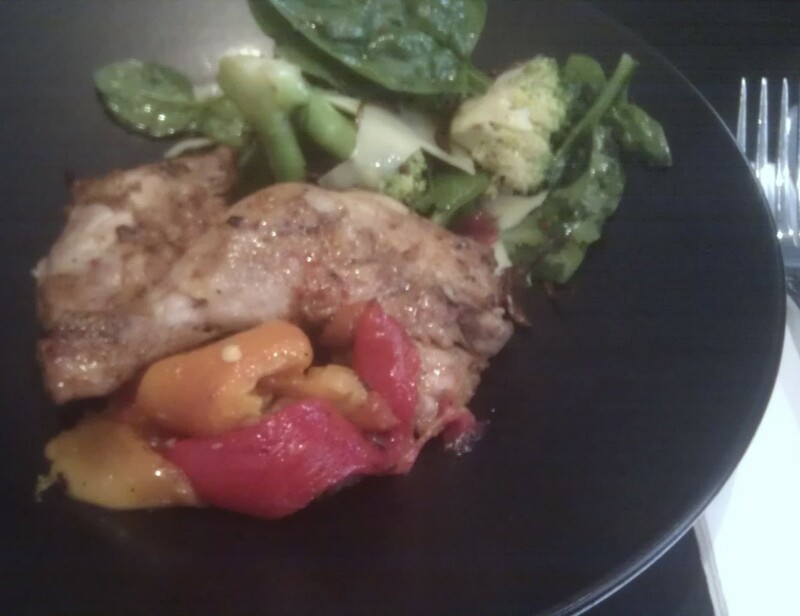 Ultimately, I ended up going for the healthy option of grilled spatchcock and roasted capsicum with a side of broccoli, spinach, chilli and emmantale cheese salad. The chicken was too salty for my tastes, but was tender nevertheless. I'm a sucker for grilled capsicum and wish that they'd actually added extra to the salad itself, if only to make it a bit more colourful. One of my companions had the same salad as I did, and quite enjoyed it, along with a tomato and cheese toastie which she absolutely loved. 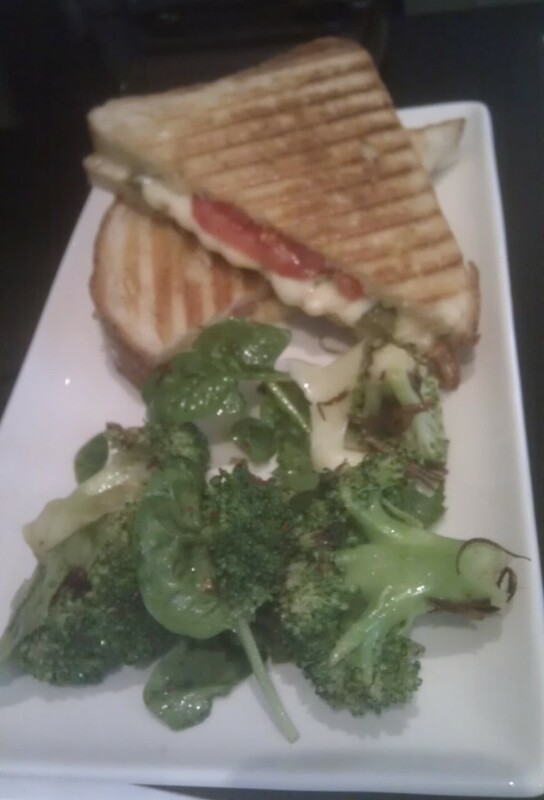 Toasties are such a comfort food, and most places offer these tasty dishes for a reason. 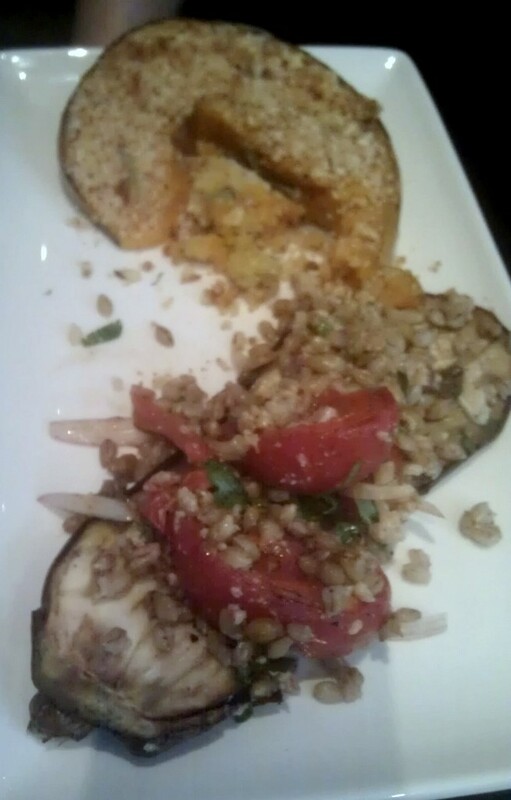 I still think the ones at Journal were better, being more adventurous, better presented, and perhaps tastier. My other companion ordered two salads. My first reaction was, "What?" but any thoughts I had about insufficiency were dismissed when the meal arrived. When they say 'Pumpkin Wedges' I was imagining smaller pieces, but a wedge is a wedge, even if it's a gigantic piece. I'm not sure it quite constitutes a salad, but we live in a world where these things can be freely interpreted. It did look quite tasty and the thought of ordering a take-away salad crossed my mind. The food was decent here, though the serving sizes were small for the price paid. The coffee and service are both good though, so if you're after a quick, relatively healthy lunch, it's worth giving this place a shot. Other places do these dishes better, but there's certainly something for everyone here (though maybe not enough space). I'm curious about the prices paid (you mentioned, but didn't name:) ). The menu description sounds like it would be pretty high. The coffees are the standard CBD prices ($3.20 and $3.50), toasties are $8.50. The mains and salad are a bit pricier - 2 salads/3 salads are $11.50 and $14.50 respectively, and the mains with 1 salad range from $14.50 to $19.50 with an extra salad adding on another $4. I need to build that list myself! Any recommendations? I also hate it when I'm with friends we aren't so familiar with my blogging habits. Then I wonder whether it's appropriate to start snapping away at the food (and not the people, because sometimes that's awkward too).